Increase productivity and reduce the likelihood of fatigue-related injury. These ergonomic mats reduce the stress put on feet, legs, and the lower back caused by frequent or long-term standing. 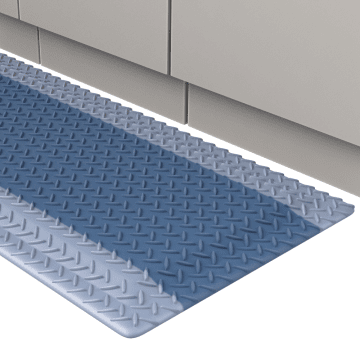 Able to handle both wet and dry foot traffic, these standard anti-fatigue mats come in a variety of sizes to fit your workspace. 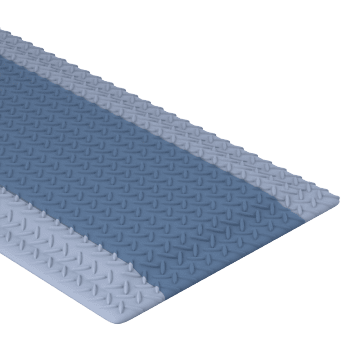 Create the right shape and size mat that you need for your workspace with these interlocking modular mats. 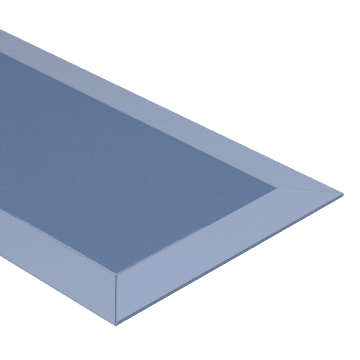 Also known as modular mats, they can be easily locked together for use in non-standard shaped spaces, for temporary applications, such as at a trade show or conference booth, or in areas that require frequent reconfiguration, such as garages or gyms. 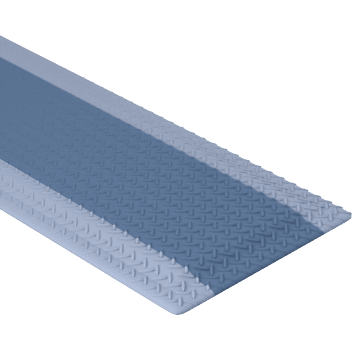 Typically narrower and longer than standard mats, use runners in areas where there are long stretches of frequent foot traffic, such as in warehouses or long workstations.